The UN’s Sustainable Development Goals have created business opportunities for small companies, according to Peder Holk Nielsen, CEO of Novozymes, a Copenhagen-based biotech company that produces unique enzymes to promote sustainability across agriculture, bioenergy, food and beverages, and household care products. Nielsen was speaking at the Techonomy NYC conference, where leaders in diverse industries from across the world came together to discuss how technology can support responsible and sustainable growth. During a series of talks about corporate responsibility in mitigating natural resource constraints due to overconsumption and climate change, leaders in biotech came together to discuss how naturally-occurring chemical processes, such as those catalyzed by specific enzymes or facilitated by yeast, can be harnessed to promote sustainability. In agriculture, Novozymes products provide specific combinations of naturally-occurring microbes that can be added to soil to promote greater yield in corn and soybean fields. Novozymes has also teamed up with Monsanto to create the BioAg Alliance, which has products in its pipeline to use naturally occurring fungi and microbes to improve nutritional uptake of corn, soybeans, and wheat. John Melo, CEO of Amyris, a California-based biotech company that uses yeast to generate specific compounds from sugarcane, is focused on using his company’s technology to reduce the amount of resources required in industrial processes, such as manufacturing flavor and fragrance products and skin care products. “We are the world’s lowest-cost, fastest, and most effective genetic programmers of yeast. We use yeast to produce things we would otherwise have to use animals for,” says Melo of Amyris’s mission. For example, synthesizing squalane — an emollient used in skincare — from sugarcane, Amyris has saved about 2-3 million sharks a year from being killed, since squalane is traditionally harvested from shark liver oil. 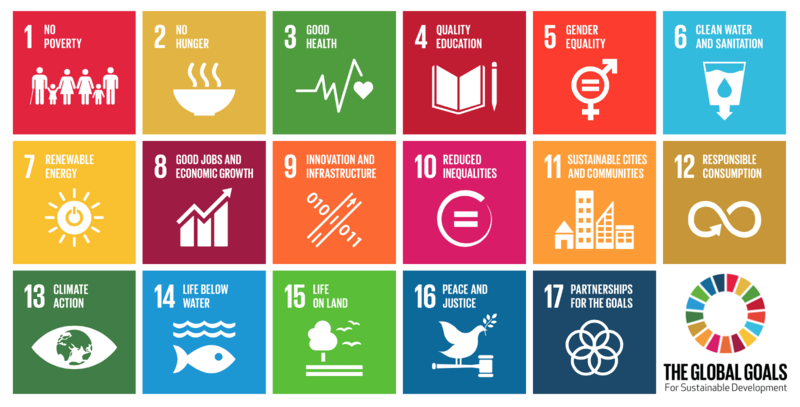 Beyond driving commercial biotech companies, the UN’s Sustainable Development Goals are critical to supporting growers in developing countries as well. “One of the most important stories of today is water. Water runs across all the UN’s Sustainable Development Goals,” said J. Carl Ganter, the co-founder of Circle of Blue, which focuses on reporting on the importance of water resource issues related to food and energy. According to Ganter, coastal shifts and sea level rise are forcing rice farmers in Vietnam to convert their flooded rice paddies to shrimp farms, while farmers in India are using wastewater from paper mills and raw sewage to irrigate their crops due to a lack of safe water. See our summary of a report on how investment in agriculture is critical to meeting the UN’s Sustainable Development Goals here.